This species was found on Honshu Island in Japan. It forms an upright growing, large size (22 inches high by 42 inches wide) mound of shiny, dark foliage. Pale purple flowers with whitish petal margins appear in late July. Blooms are borne on purple dotted pedicels. It is a natural triploid and is sterile so the plants propagate vegetatively by rhizomes. This species of Hosta is generally found growing in marshes and bogs. 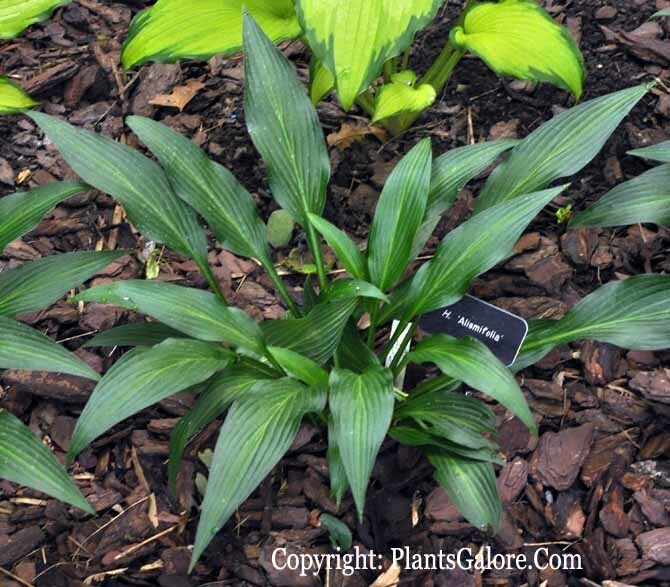 The Genus Hosta by W. George Schmid (1991), did not find any of this species being cultivated in Western gardens. Perhaps the most identifiable trait of H. slismifolia is that the flower parts are a homogeneous light purple with no stripes and it has purple anthers. The Hosta Handbook by Mark Zilis (2000), observes that this species "...is a fairly obscure Japanese species found in only a few American collections, it deserves more attention. The shiny, dark green foliage and upright mound habit make it an ornamentally superior plant." According to The Hostapedia by Mark Zilis (2009), "The shiny, dark green foliage of this rare species makes it an ornamental asset in the shade garden. I observed it growing in deciduous forests and among grasses (at high elevation) on Honshu Island in Japan." Mark Zilis' Field Guide to Hostas (2014) states that this species was found in Japan in "...edge of woods; wetlands..."
An article by Hajime Sugata of Japan in The Hosta Journal (1994 Vol. 25 No. 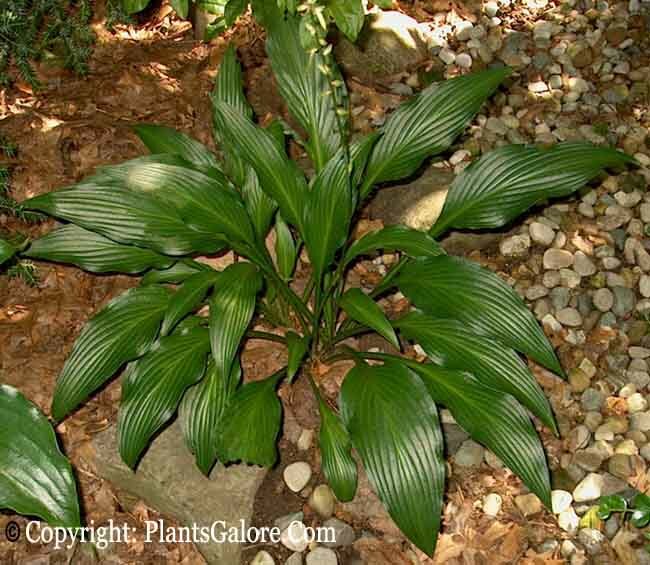 2) says that "H. alismifolia is a little-known hosta not found in the Botanical Encyclopedia. I confirm that it grows at Tsukude Villiage, Minamishitara County; Nukata Town, Nukata County; and Shimoyama Village, Higashikamo County in Aichi Pref. ; and Toki City, Kani City, and Sakahogi Town in Gifu Pref. "...My observations of many different forms of H. alismifolia leads to the conclusion that is a randomly appearing sport. H. alismifolia is found in wetlands, along rice paddies, or near streams. It always coexists with H. longissima, H. montana, and H. albo-marginata (H.sieboldii). Interestingly enough it is never found without H. longissima nearby. It usually forms a large clump." Only a few books mention H. alismifolia and they contain limited information. One of them states that it does not set seed. However, I have hybridized many plants...I have succeeded in producing several plants that set viable seeds." The Latin name alismifolia can be loosely translated as "Alisma-leaved". 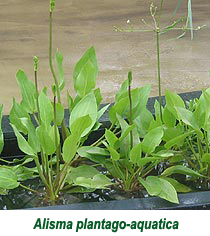 Alsima is a genus that contains several species including the one shown above, Alisma plantago-aquatica whose leaves generally resemble those of this hosta species.